Are you thinking about getting your first tattoo? Or planning a new one that’s your 10th? Picking a design can take a long time, and should at least take a lot of thought, as well as WHERE to place it. “Sure, come on back.” He turned and walked behind the curtain. “Great.” I followed the big guy to the back room. The guy was very nice, and very knowledgeable. I was thoroughly impressed with the sterile technique (I’m a medical professional) and the talent of the artist himself (I can’t draw a straight line with a ruler). Most of his clients choose a design from his gallery, on Pinterest or the internet. Occasionally, they draw or write their own design. He can personize a design, change the size, color or make other embellishments. A tattoo is very personal, so what you chose and where you place it is a major decision. Do your research for the pros and cons about location. Many employers still consider visible tats against their dress code and may require that you cover them. The first tattoo machine was invented in 1891 by Samuel O’Reilly based on Thomas Edison’s device called the electric pen invented in 1876. For those scared of needles: a tattoo machine will puncture the skin on average 50-3,000 times per minute. Obtaining a tattoo in New York City was illegal between 1961 and 1997 because of an outbreak of Hepatitis B. What if a tattoo had supernatural powers and could grant wishes? 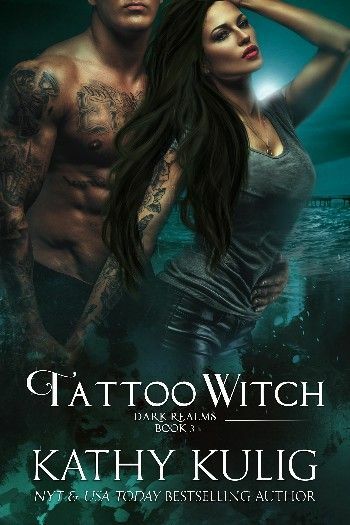 Cassandra is a witch who designs magical tattoos. Sam and Anita are struggling in their relationship and hope to reignite their lukewarm love life while on a beach vacation. They meet a mysterious, heavily tattooed couple who brag about the fiery passion and excitement in their lives and swear that Sam and Anita could have it too. They refer Sam and Anita to Sinful Designs, the cure for their troubled romance. Cassandra designs the tattoo to meet their needs. But she mixes in a little black magic, so there’s a catch. They get their wishes and more, but all tats comes with a curse. Their world is turned upside down, and there’s only one way to break the spell. Can their love survive the consequences, and strong enough to fight black magic? Steamy, suspenseful and romantic.